This blog is all about electronics. For all those who love electronics and play with it. But here we talk about the industrial aspects of it. Moving from hobby projects to complete stable products. The difference between practicallity and theory. And how to revert back to theory for dealing with real situations. We will try to find answers from what we hate. Theory! Analog Filters AAAAAAAAAH!! AWWWWWWWWW! Ouuch! 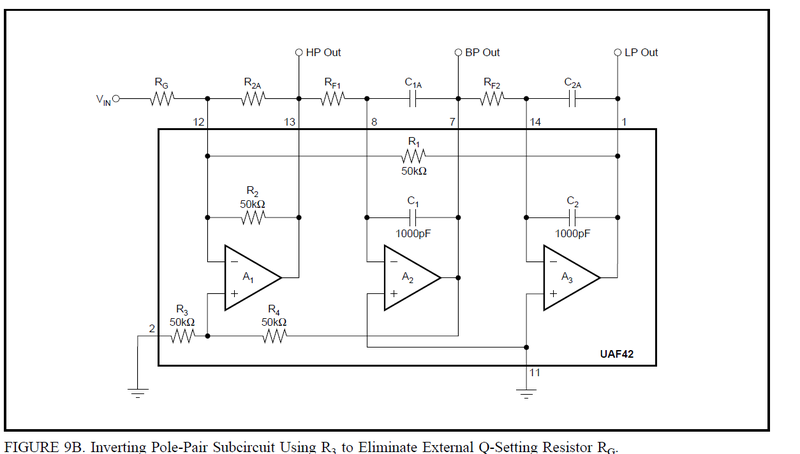 The component values here are for a fixed type of circuit. for example here it indicates subcircuit PP3. 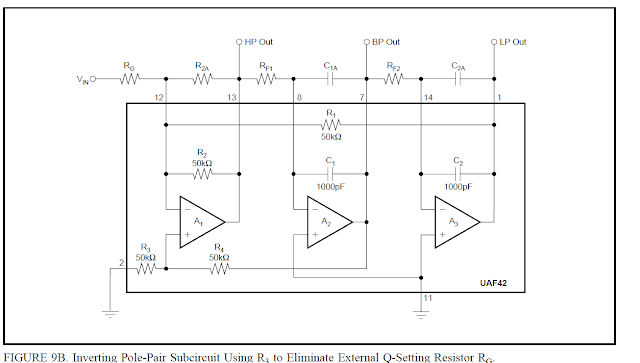 goto http://www.ti.com/lit/an/sbfa002/sbfa002.pdf and search for PP3 subcircuit diagram. If you are making filters with higher order, more IC are required. In taht case the software with make the circuit as combination many subcircuits. Go through teh datasheet for more details. Enjoy! The world is changing fast and so are the definitions. Robotics, now has so many definitions today, but we still think a robot should look like human and could do more than we can do. Some definitions also say that any machine that can run on its own and make work easier is robot. But than in this case a washing machine is also a robot. Leaving the definitions aside, we would talk about making a very simple autonomous robot today. One that can guide itself and will not need human help in making decisions. I'm talking about a line follower. A line follower is a machine that can be guided by just a line drawn on its path. Simplest of its kind can be built on a differential drive system, i.e, independent actuators (motors) for each wheel. 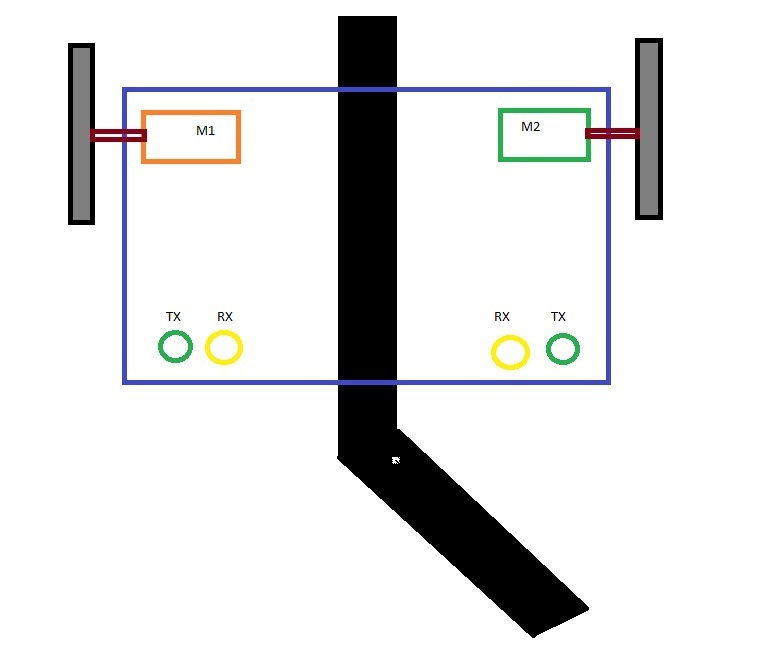 Plus we need 2 pair of Light sensors (Tx and Rx). This image here is of a black line follower. Currently both the sensors are sensing white colour ( A '1'). We can say that M1 and M2 are tied to these sensors and are being driven by them. But when this follower will move a little further, the right sensors will encounter black or a ZERO. Stop the right motor on sensing this, and let the Left motor rotate. This will turn the machine to the left following the line. There could be more modifications to build a better line follower, which I'll introduce in next post, also I'll introduce how to build the required circuit for it.